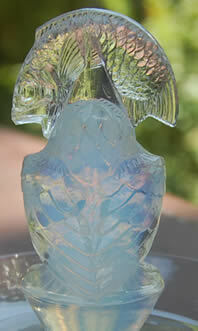 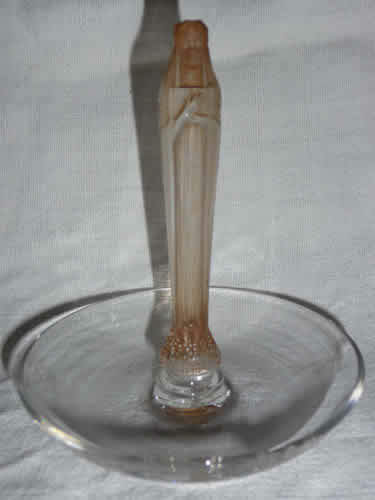 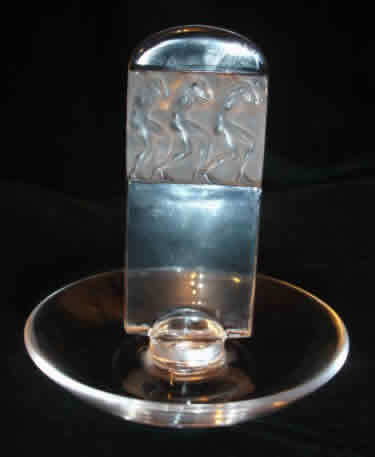 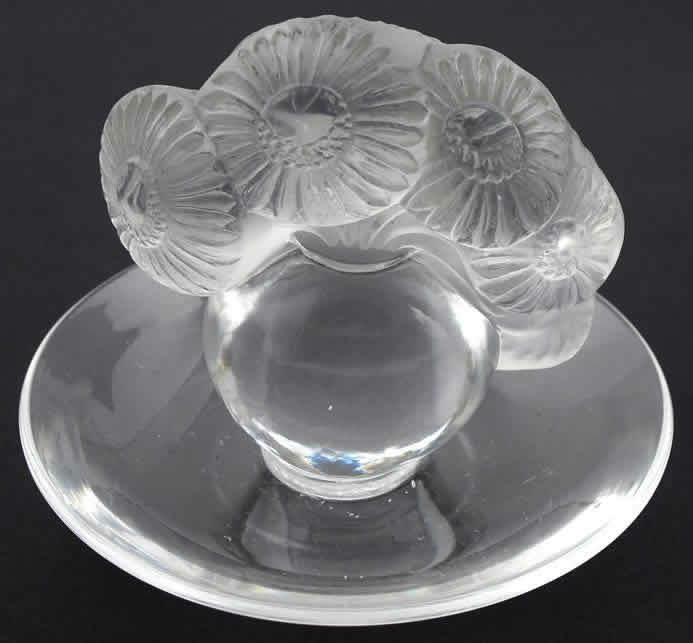 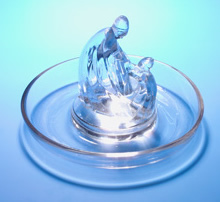 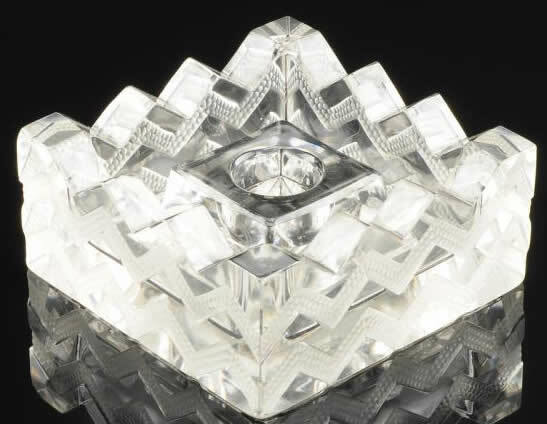 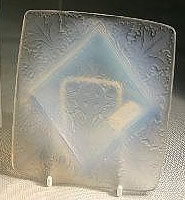 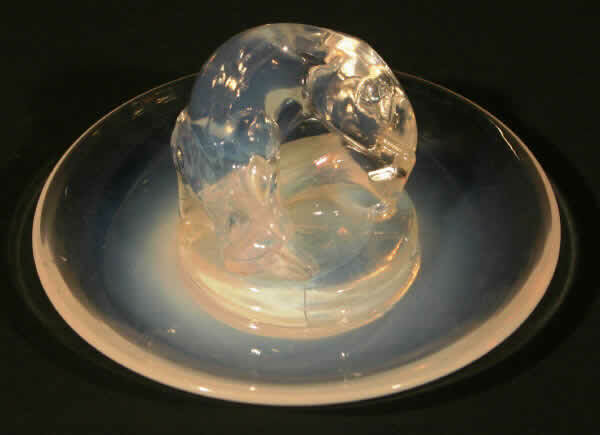 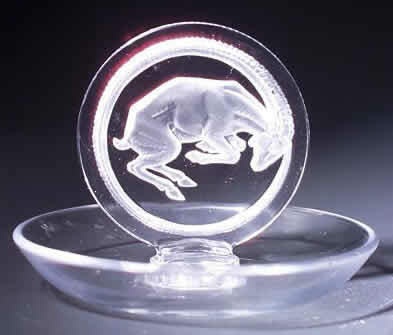 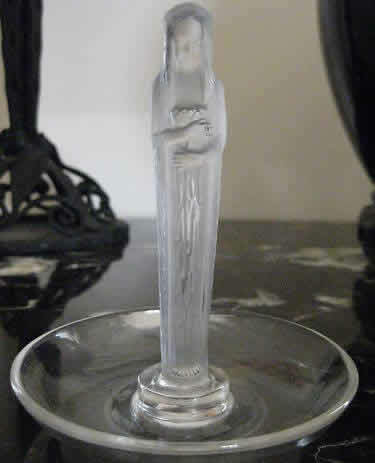 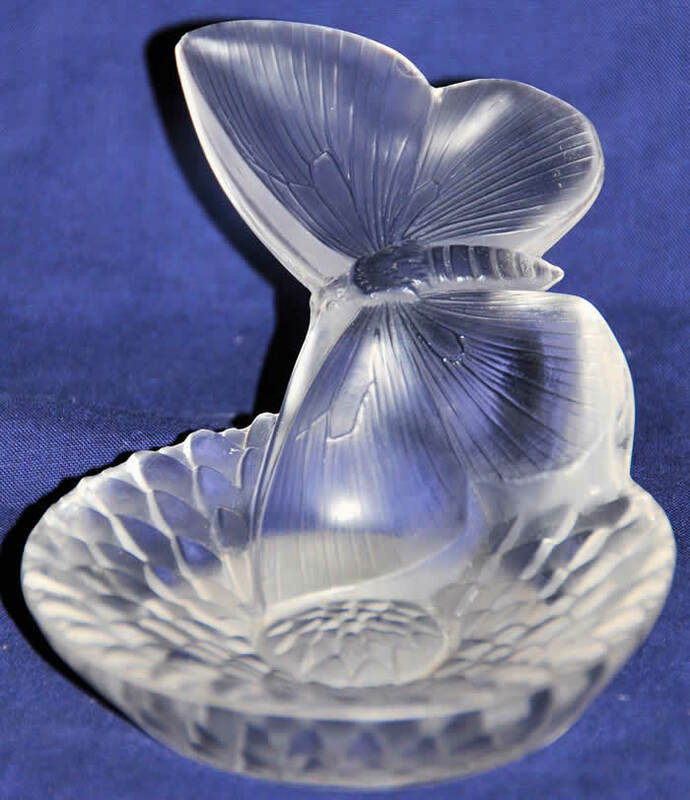 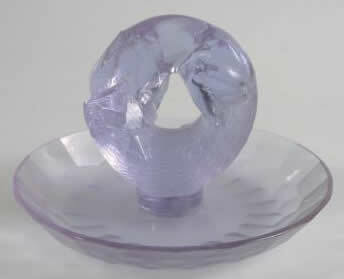 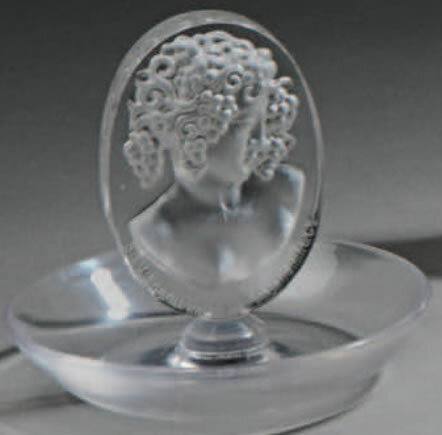 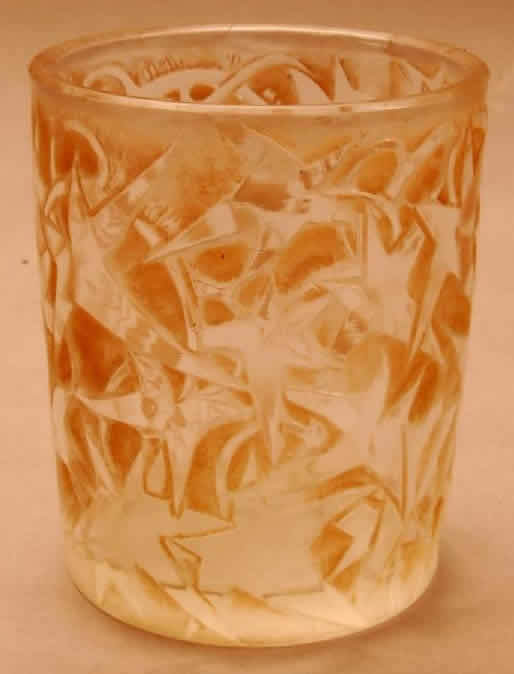 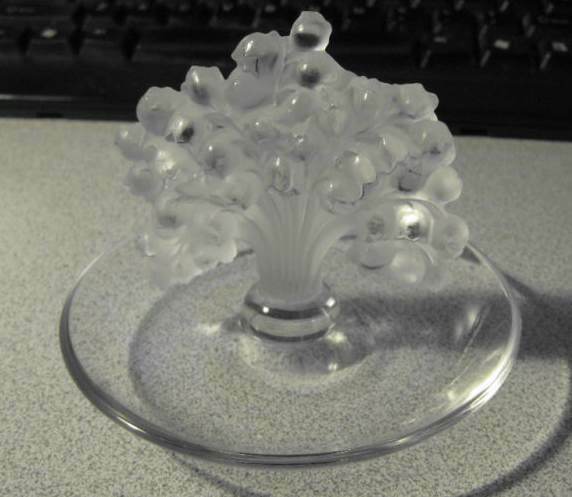 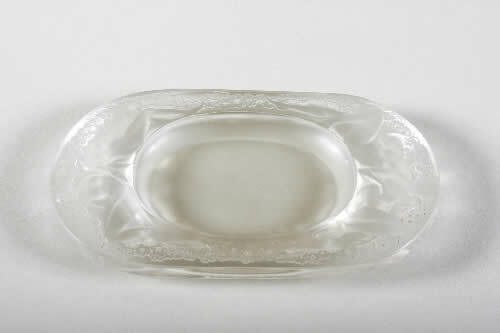 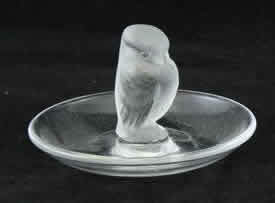 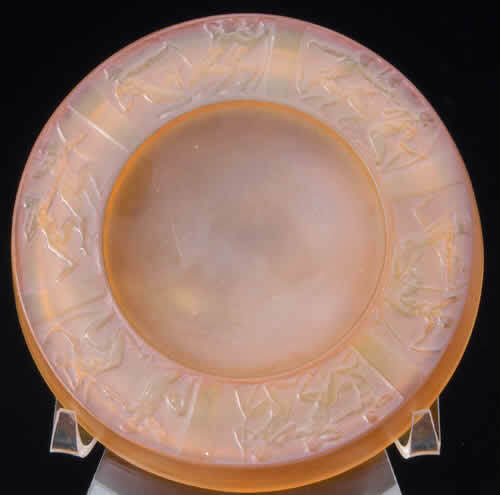 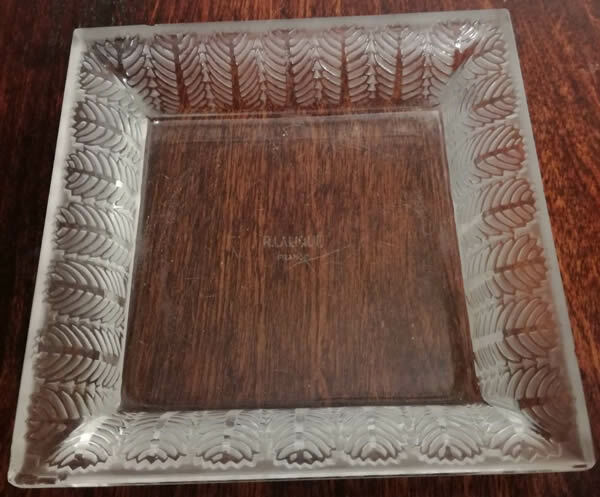 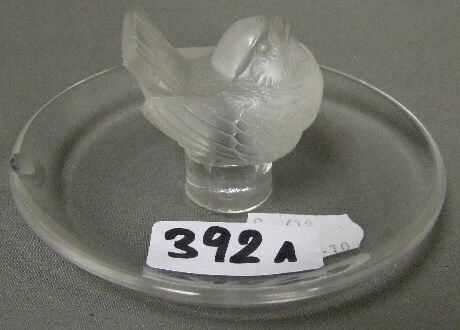 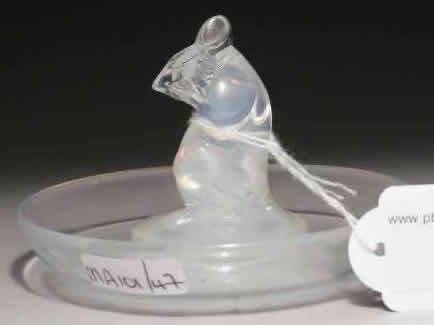 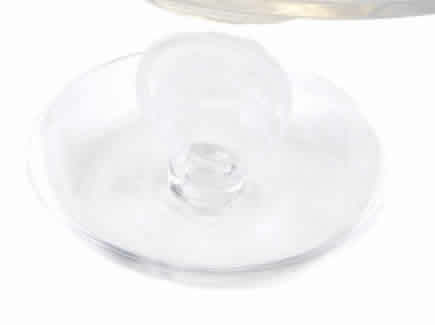 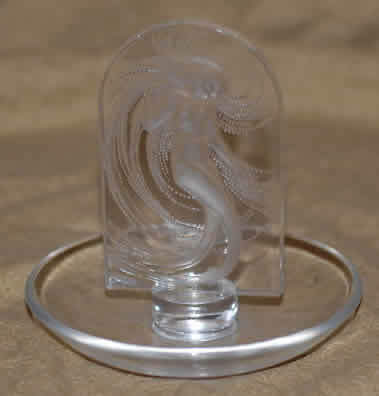 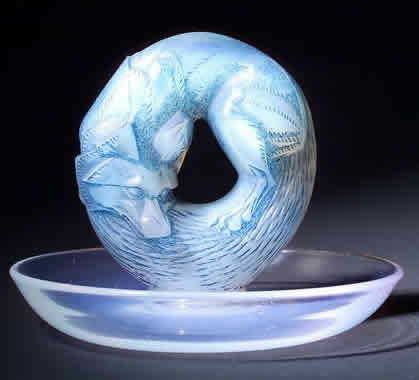 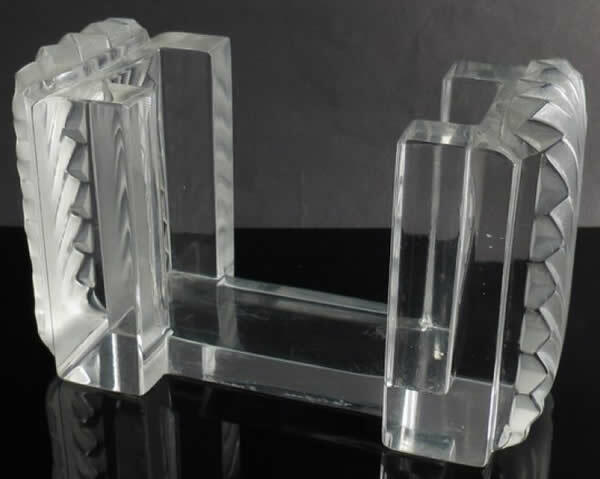 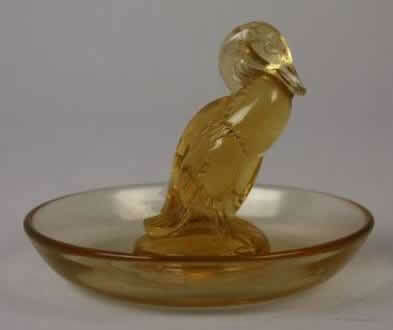 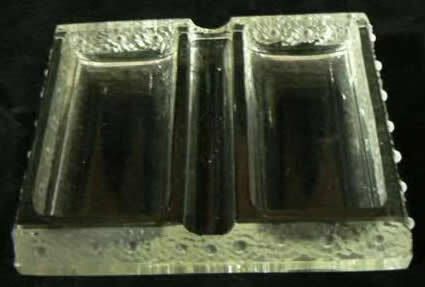 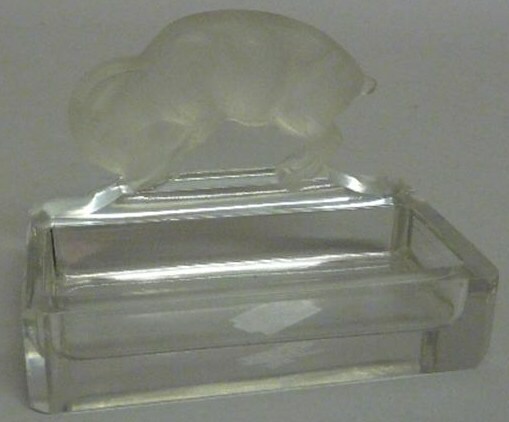 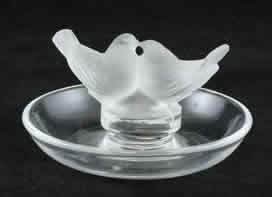 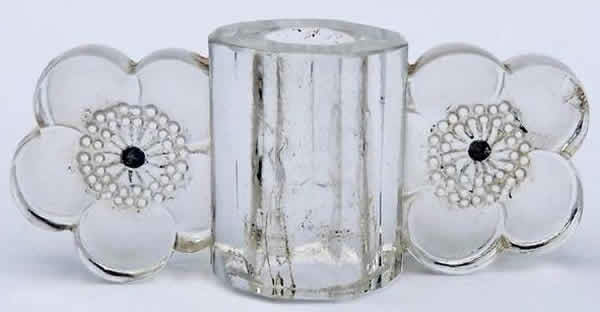 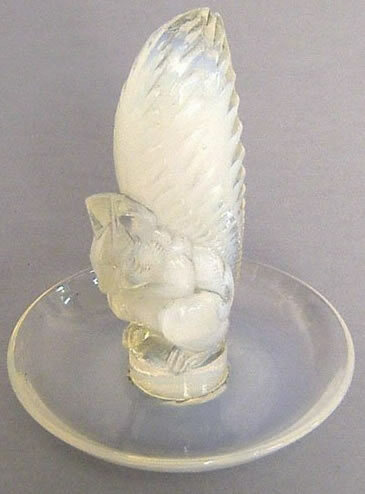 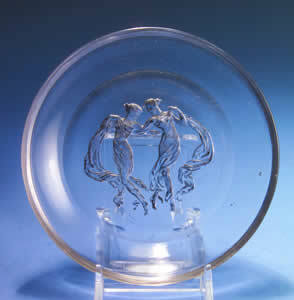 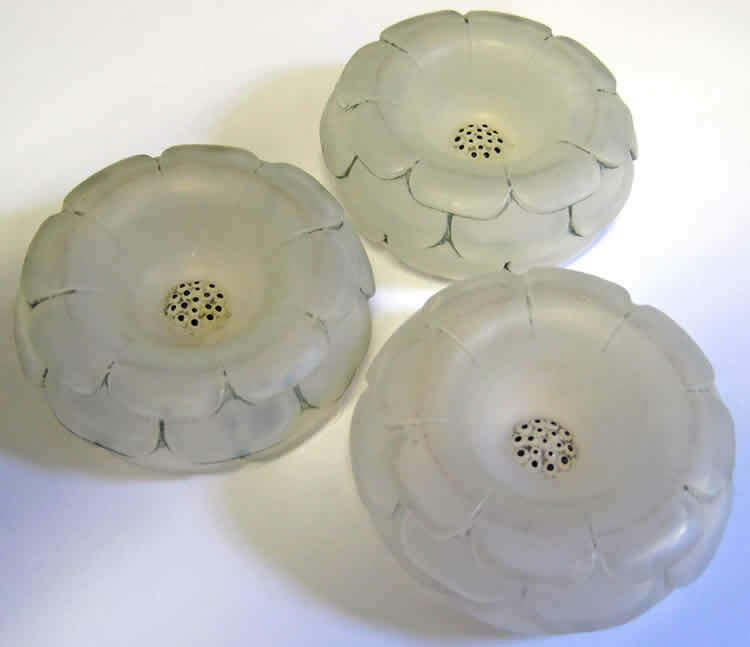 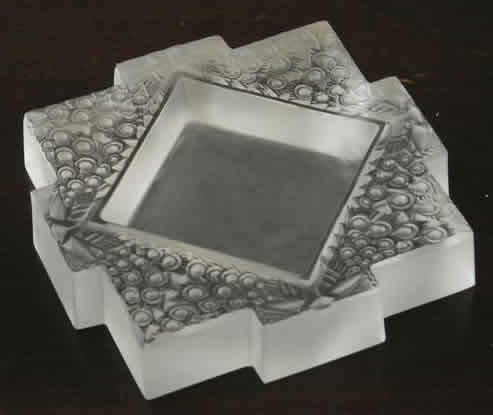 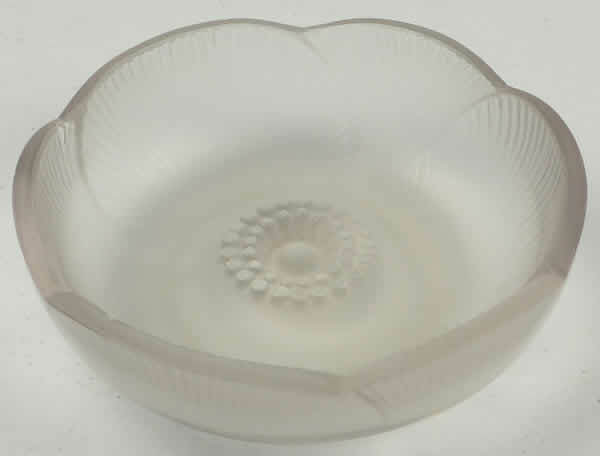 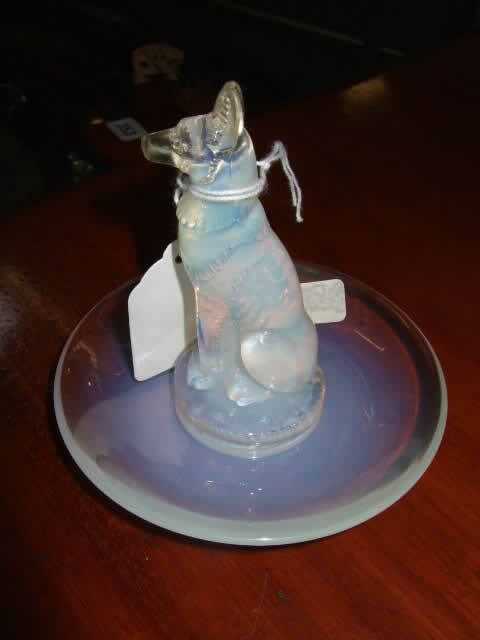 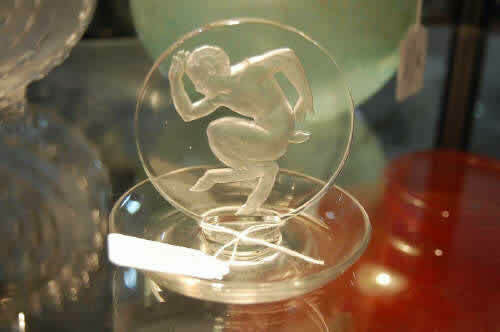 Rene Lalique smoking accessories: In addition to ashtrays, related items are also shown including the Eglantines Cigarette Extinguisher (or Eteignoir), the Cigarette Holders Lierre and Corfou, and the Colmar Smoking Set. 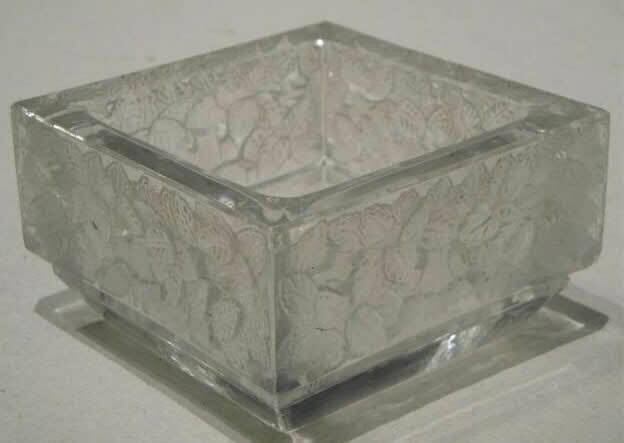 There are some boxes that were originally marketed as Cigarette Boxes. 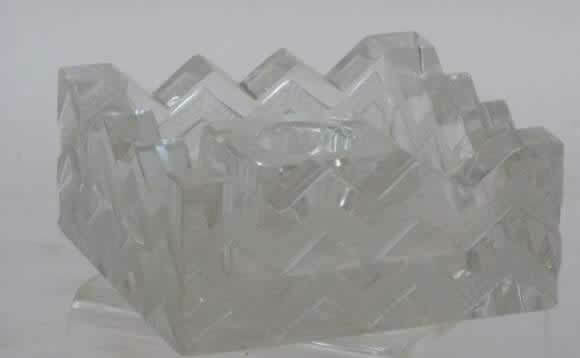 However, except for the Colmar Box shown as part of the aforementioned set, those boxes are just included on the box page. 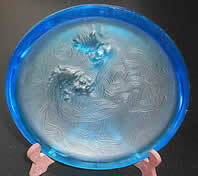 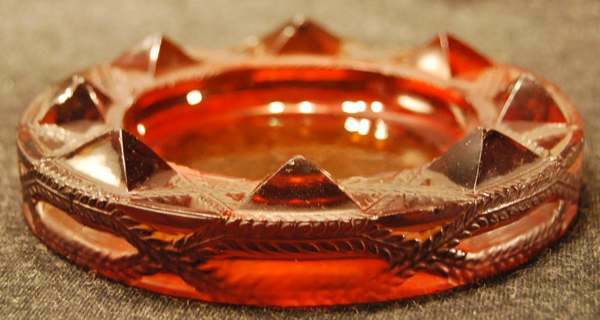 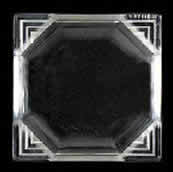 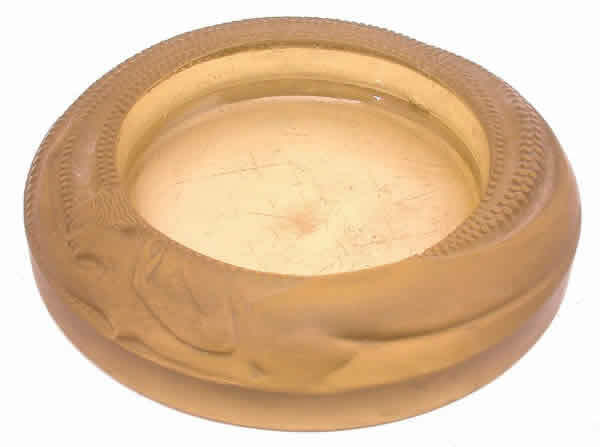 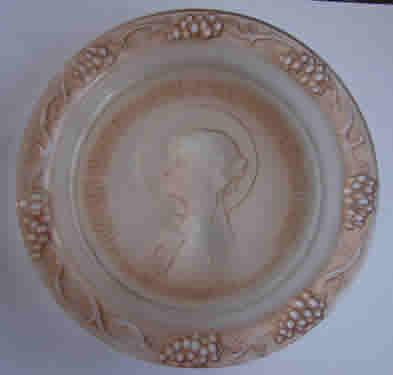 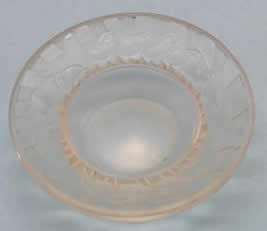 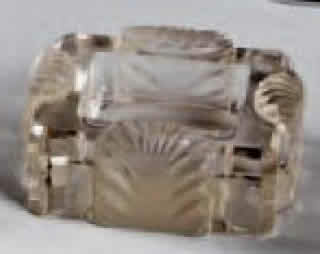 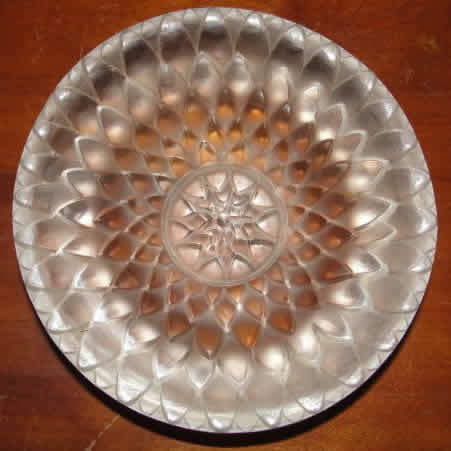 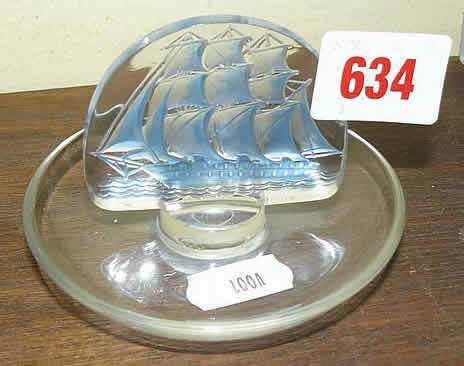 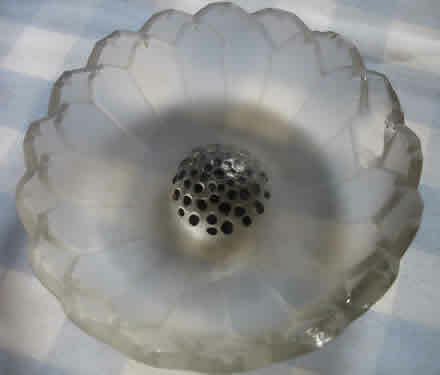 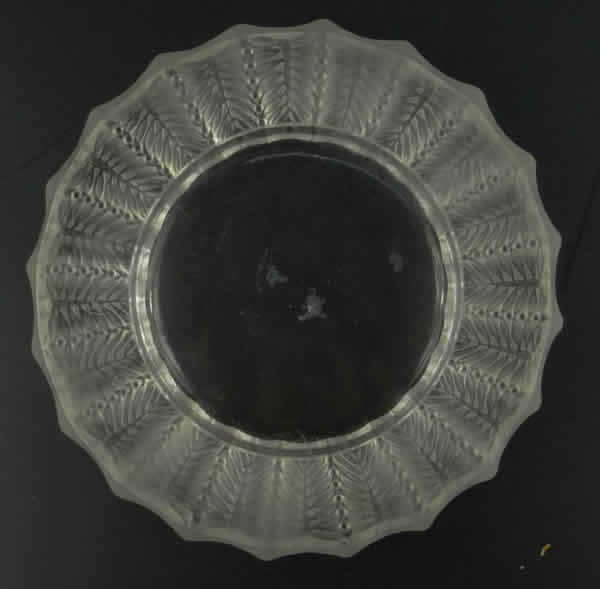 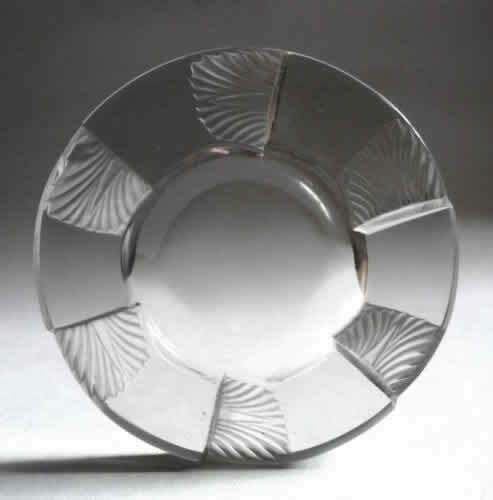 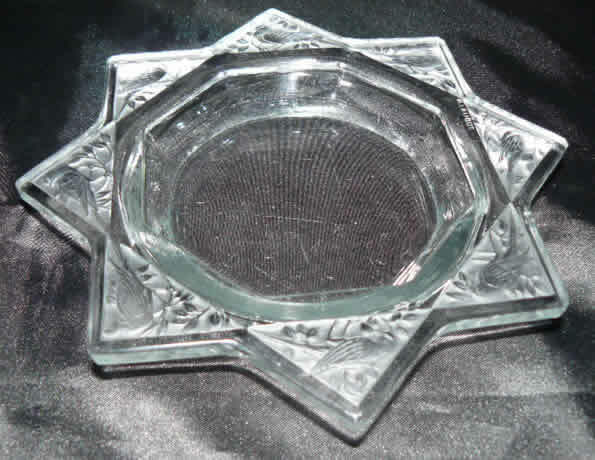 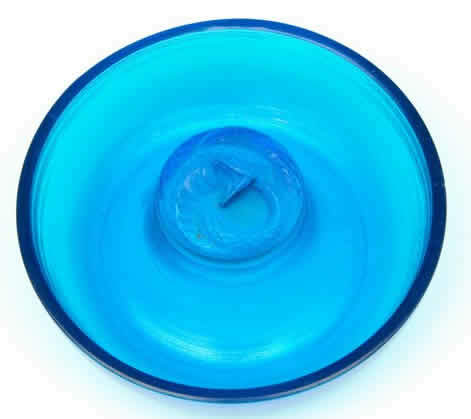 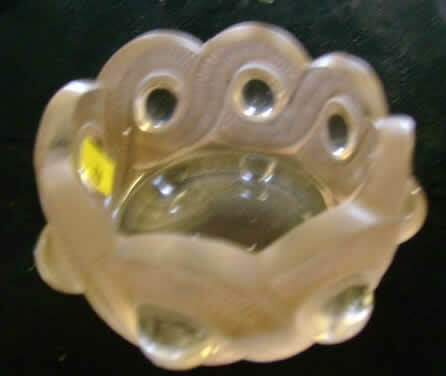 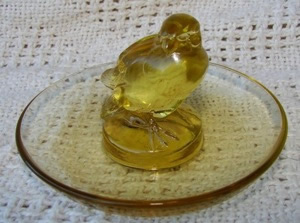 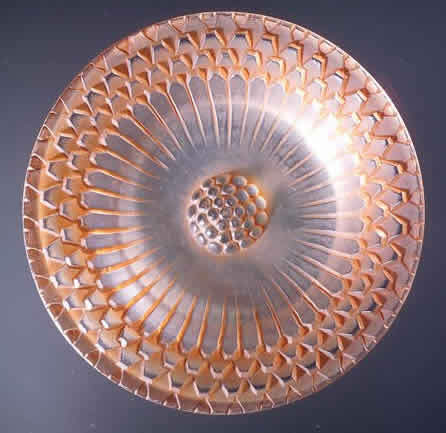 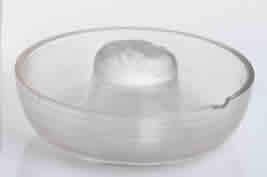 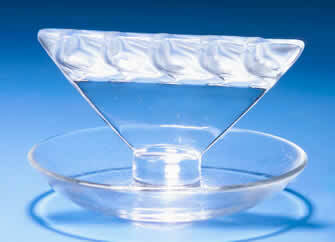 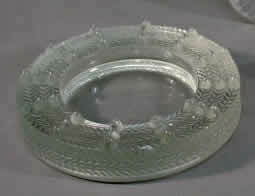 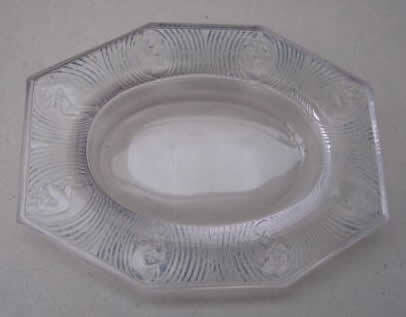 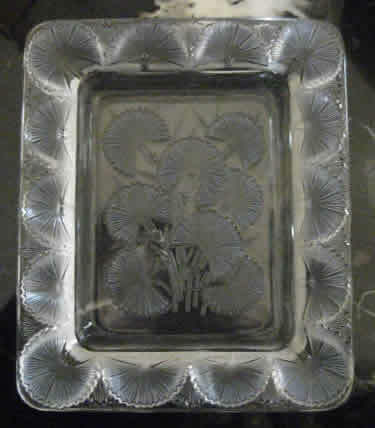 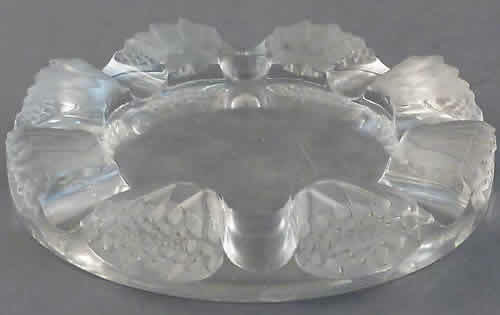 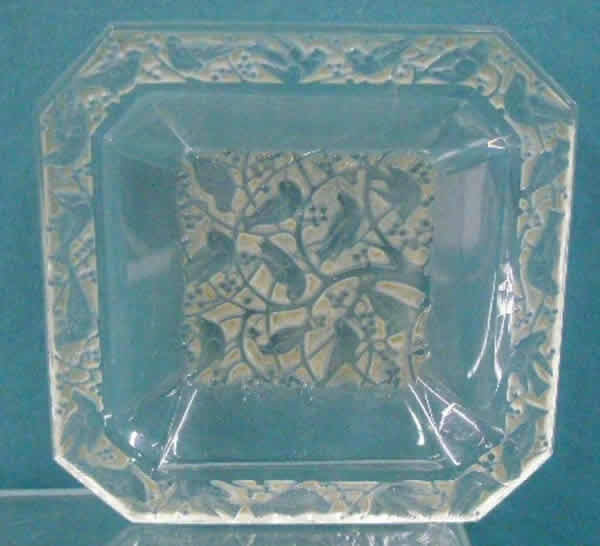 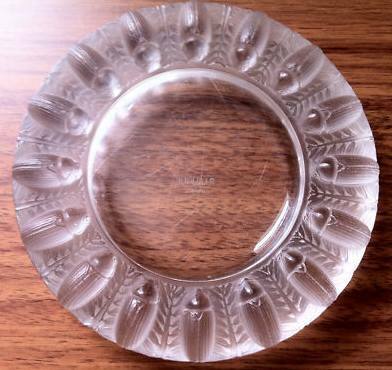 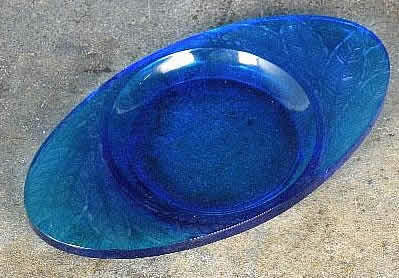 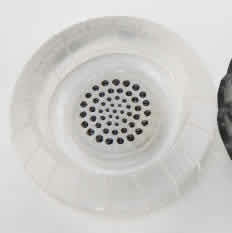 Ashtrays are also called by the French word cendrier, and are often referred to as pin dishes, ring dishes, and ash receivers.